On the weekend I sent an email asking for my local ChipsAway representative to come and look at the mark on my car. Oliver (Southampton) came round last night and unfortunately couldn't do anything with it because it was too small, but did give it a rub and I asked him about a "dink" I had on another panel. Oliver was brilliant and ... Read more gave me the details of a chap that could fix my dink. The very next day Andy Jewell gave me a call and popped round to take a look. By the time I walked to a cash point and back the dink had disappeared, wow what a brilliant result. Thank you ChipsAway. 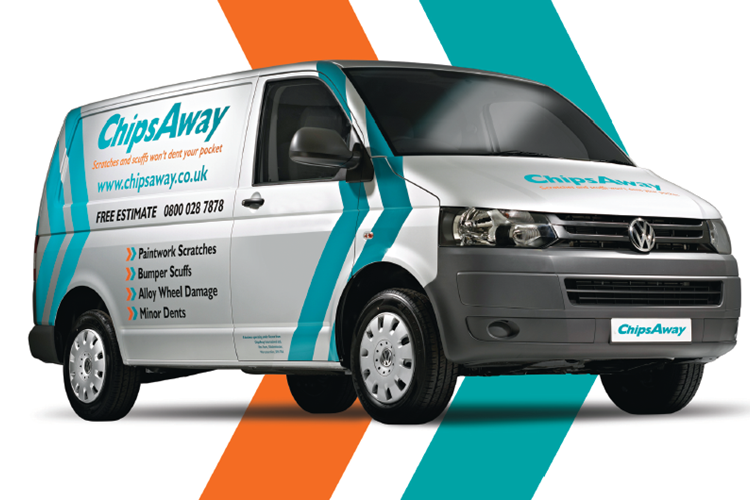 A nice lady called Carina Mortimer just called in to praise ChipsAway franchisee Oliver Edwards, for a first class job he did on her car the weekend. She went on to say how professional and organised he was. He was absolutely fantastic and a lovely chap. She was very impressed by him and the repair. Says she will be recommending him and the ChipsAway name, to everyone she knows! Just a brief note to say many thanks for the work you did on my Golf yesterday at Pasture Lane. It's quite rare these days for companies to keep appointments & work to a high & conscientious standard as you did. The work is of a very high quality & I will certainly recommend you to others. Thank you Oliver for a first class job you did on my car the weekend. Very professional and organised he was. He was absolutely fantastic and a lovely chap. I was very impressed by him and the repair. I will be recommending him and the ChipsAway name, to everyone I knows! Just want to say Thank You for restoring my car to show room condition. My friends were very impressed and if they are as careless as me I know who they will call on ! Excellent job, polite & friendly and clearly knows what hes doing. Oliver from ChipsAway was very polite and very professional through out the process, thank you for your service. We cannot speak highly enough of Oliver Edwards from ChipsAway. Oliver was punctual, friendly and experienced. We would not hesitate to recommend him. He worked on our car for almost seven hours without a break. He repaired both sides of our front bumper and polished out some scratches along the sides of the car and it is impossible ... Read more to distinguish his work from the original paintwork. We are delighted. Many thanks. Having had Oliver repair damaged bodywork on my car some months ago, I didn't hesitate to ask him to repair a curbed alloy wheel. Did the damage just before leaving for holiday so sent him the request whilst I was overseas. He responded immediately, inspected the car (on drive way) that same evening and sent me a message to say that ... Read more unfortunately he was unable to repair (it was a diamond cut alloy). Didn't stop him from going the extra step to provide me the contact details of a local company that could do it. Says that he "didn't do much" but this only serves to demonstrate his genuine professionalism. Greatly appreciated. Chips Away Eastleigh. Oliver Edwards. Excellent service.Fantastic result.Back to showroom condition. Work completed 4/1/19. Highly recommended.